For the past 25 years, LymeDisease.org has made the patient voice stronger. 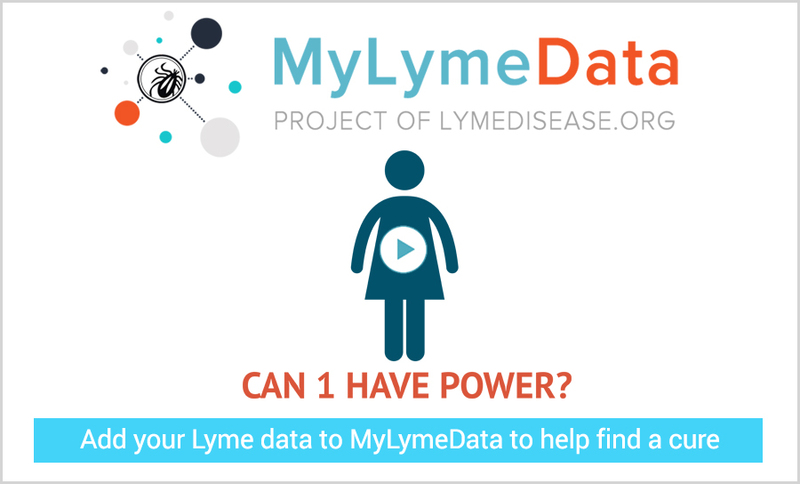 Our new project, MyLymeData brings hope to hundreds of thousands of patients through patient powered research. It will be the largest study of chronic Lyme disease ever conducted. Big data research can show us which treatments work best for patients. It was conceived by patients, is run by patients, and will drive research to improve patients’ lives. Your tax deductible donations to LymeDisease.org will help make this goal a reality. If you would like to donate a different amount, enter that here. If you are not currently a member, you qualify for membership benefits with your donation! If you are currently a member, you can renew your membership or extend your expiration date with this donation. Select one of the options below. I am not currently a member, but want to become a member and receive membership benefits. I am currently a member and wish to renew my membership with this donation. I don't remember if I am a member. Complete the donation form and we will contact you. I do not wish to receive membership benefits. Complete the donation form. Please enter the following information. This will be used to create your membership account which will allow you access to the Lyme Times and other member resources. You will be sent an email with your login information once we process this information. Please enter your current membership information. This will be used to renew your membership or extend your expiration date for your existing LymeDisease.org membership benefits. Email address must be email you used to create your membership. If you don't call recall your username, you can leave this blank. Please enter the information below for the dedication of this donation. Do not send notification of my gift. If you would like to include a message to the person you are dedicating this gift to, please include your message here. This will be emailed to the person you are honoring.